Five years ago, a group of university students in Spain's Basque Country decided they wanted to shake up a sector -- any sector -- but preferably one to do with food or drink. So Imanol, Inigo, Gorka, Aritz and Taig picked the most traditional of them all -- and created blue wine, one of several innovations in a deeply conservative industry. After two years of research at the University of the Basque Country with the help of in-house, professional chemical engineers and an outside centre for food innovation, they launched their company Gik Live! in 2015. It sold 30,000 bottles in its first year and close to 500,000 in 2017. The young company now exports to 21 countries, the United States being its main market... and wine-loving France its second. From five rookie entrepreneurs, the company has grown to 12 employees. "We understand that for many people... wine is something sacred that mustn't be changed," says Irish-Basque co-founder Taig Mac Carthy, standing at a bar in the company office in Portugalete, a northern town near Bilbao. "But we like to change things and we're not afraid to try," he adds, as employees type at their computers in the room next door where a drum kit and guitars stand ready for use in true hipster startup tradition. One look at a glass of blue wine can be enough to send sommeliers scurrying. 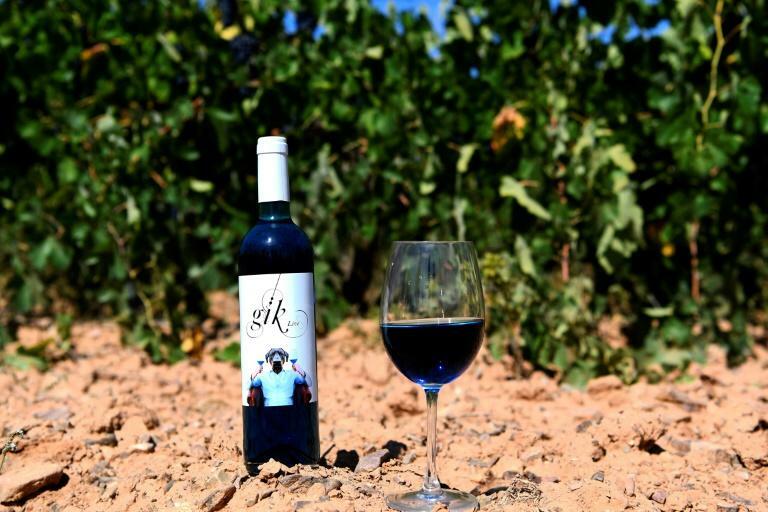 Electric blue in colour, Gik Blue is made in several wineries in Spain following the traditional winemaking process. As well as being sold online, some bars, restaurants and shops in Spain sell it. Mix a lot of white wine with a smaller amount of red wine, and a tiny bit of must, or freshly-crushed grape juice. The blue colour is obtained via a mix of "nature and technology" using two pigments -- anthocyanin, found in the skin of red grapes, and indigo carmine. The company won't divulge any more of what they say is their "industrial secret." Gik Live used to use sugar substitutes but now adds dessert wine instead to get a sweet taste. Other brands have followed suit in Spain including a blue sparkling cava, and the company has created other types. There is red wine infused with Earl Grey tea, white wine infused with Japanese Sencha tea, or spicy red wine named "Bastarde." Prices online range roughly from 11 to 13 euros ($13 to $15) a bottle and clients are usually aged 25 to 45, men and women alike, says the company. The reaction to blue wine has been decidedly mixed. Jean-Michel Deluc, former head sommelier at the Ritz in Paris, labelled it "surprising." "It's not what I'd drink but still, it's not bad, it's quite well done," he said in a video posted on the blog of wine-ordering business Le Petit Ballon, which comments on news in the sector. In an August review, Britain's The Daily Telegraph newspaper decided it was "sweet. Very sweet. Too sweet," calling it a "gimmick." 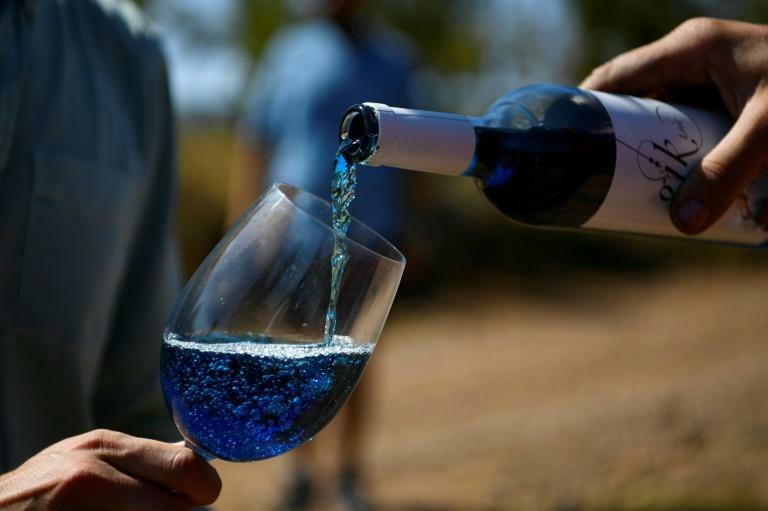 For Rafael del Rey, director of the Spanish Observatory of the Wine Market, blue wine is one of several innovations in a "conservative" sector that has been losing consumers, including among the young, women and city dwellers. Factors such as people having less time for meals, needing lighter products and a trend for slightly sweeter flavours have also had an impact. "Many of them haven't found a wine they find attractive," he says. That demand, he adds, is generating innovative products like blue wine, or wine with low alcohol content. In Europe, the company has had to label Gik Blue an "alcoholic drink" as authorities have ruled it isn't wine due to its blue colour. But other countries, including the United States, allow it to be sold as wine. 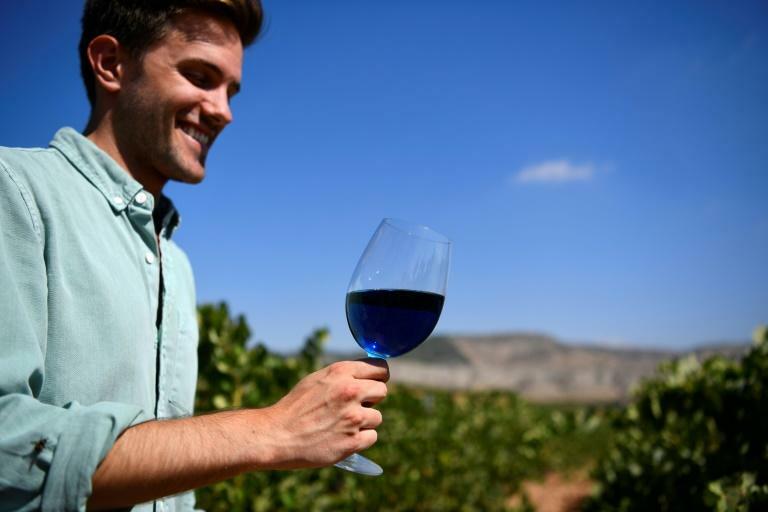 "We knew from the start that Gik Blue would be a product that would polarise opinion a lot," says 25-year-old Aritz Lopez, another co-founder of Gik Live, speaking as he walks through the rolling vineyards of a winery that makes the blue wine in Zaragoza province. But he's asked not to reveal the name of the winery, nor the village it's in, to protect it from criticism in the sector. The company says it is on track to make 1.5 million euros in turnover this year. And in a surefire gauge of popularity, Mac Carthy says he even found counterfeit replicas of Gik Live's blue wine in Spain... that had been made in China.